A desperate midnight phone call spurs a spontaneous road trip for a brilliant teen and her estranged mother. The reunited pair runs fast and furious from the secrets in their lives. So what if reality’s nipping at their heels? Colliding together, they find connection, forgiveness and a part of their identities that has been missing all along. ASL interpreted performance June 23rd. Julana Torres and Laex Ramirez de Cruz. Photo by David Kinder. Julana Torres. Photo by David Kinder. Alex Ramirez de Cruz. Photo by David Kinder. Alex Ramirez de Cruz and Julana Torres. Photo by David Kinder. Jimmy Garcia and Julana Torres. Photo by David Kinder. Jimmy Garcia, Julana Torres, Alex Ramirez de Cruz, Chris Harder. Photo by David Kinder. Julana Torres and Chris Harder. Photo by David Kinder. Join us immediately following the performance for nibbles, drinks and music. Catering provided by 2017 Season Partner Pambiche. 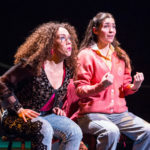 Daniel recently interviewed Quiara for The New Yorker about the ingredients that go into her daring, funny, heartbreaking plays, drawn from her family’s Puerto Rican-Jewish heritage, her Philadelphia barrio, and her music training at Yale. 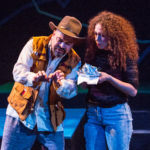 As Profile Theatre starts her Pulitzer-winning Elliot Trilogy, Daniel will share what makes Quiara one of the most exciting, innovative, and community-minded playwrights working today. Daniel Pollack-Pelzner holds the Ronni Lacroute Chair in Shakespeare Studies at Linfield College, where he teaches courses in literary history, drama, and gender studies. A Portland native, he received his B.A. in History from Yale and his Ph.D. in English from Harvard. His articles on Shakespeare and contemporary culture have recently appeared in The New Yorker, Slate, and The New York Times. 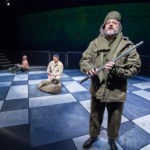 A frequent speaker at the Oregon Shakespeare Festival, he is the scholar-in-residence at the Portland Shakespeare Project and a consulting scholar for Age and Gender Equity in the Arts. Sean Davis has fought in a revolution, a war, and helped save lives in New Orleans during Katrina. He is the author of The Wax Bullet War, a Purple Heart Iraq War veteran, and a community leader in Northeast Portland, Oregon. 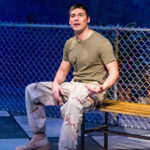 He is the winner of the Legionnaire of the Year Award from the American Legion in 2015 and the recipient of the Emily Gottfried Emerging Leader, Human Rights award from the city of Portland, 2016. His stories, essays, and articles have appeared on Sixty Minutes, Story Corps, Human the Movie, and much more. Madilynn Garcia is a native Texan and greatly enjoying her transition to Portland. After studying at UT Austin, she did a Residency at Oregon Shakespeare Festival before moving to Portland. In addition to her work as a freelance production manager, she coordinates the Gateway Program for USITT which seeks to expand opportunities for under-represented designers and technicians in the industry. She’s passionate about Latinx theatre, new plays and promoting diversity (on stage and off) in theatre. 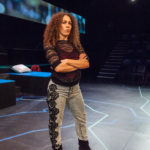 Designer Jenny Ampersand shares her process and the inspirations for her designs on this production, including her original conversations with the director, collaboration with other designers and extensive research into specific combat uniforms and how they were and are worn. 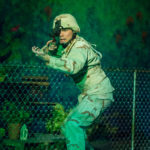 Mr. Imori, the flute coach on this production, will discuss musical fugues, major and minor keys and the other aspects of musical structure and theory that are woven into Elliot, A Soldier’s Fugue, not just as part of the story of the characters, but fundamental to the way that very story is told. Mr. Imori is a graduate of the famed Eastman School of Music in Rochester, NY in oboe performance, but teaches and performs all the woodwind instruments as well as guitar, banjo (5st, 4st), mandolin, and anything else. Locally, he has performed with Oregon Symphony, Third Angle Contemporary Music Ensemble, Salem Chamber Orchestra, numerous local musicals, and playing banjo with Molly Bloom. 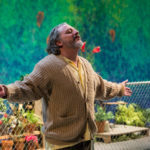 He has been an adjunct private music instructor at Lewis & Clark College, Corban College, George Fox University, Univeristy of Portland and Multnomah Arts Center as well as maintaining his own studio. 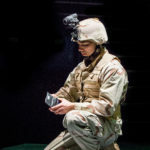 Elliott, A Soldier’s Fugue begins a trilogy about life after war for the Ortiz family. 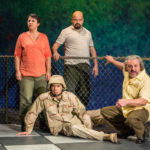 Maybe this is why it sets the most somber tone of the three plays: before we can watch Elliott and his extended family, especially the women, start to heal and thrive, we need to understand how deeply the roots of numerous wars reach into the lives of generations of Latinos and Latinas in the U.S. Indeed, Puerto Rican men and women have served disproportionately in battle since WWII. 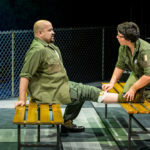 In this short dialogue before the show, we’ll talk about the legacy of Puerto Rican men and women serving in the U.S. military in order to provide some historical context for the story. 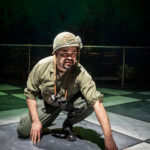 But we’ll also talk about the ways in which Elliott, A Soldier’s Fugue transcends some of the conventions of Latina/o theater and uses a history of tragedy to envision new avenues for recovery, family, and artistry. (*): These In Dialogue events are one aspect of Profile’s commitment to engaging with our community in conversations about equity, diversity and inclusion, and are a part of our Diversity and Inclusion Initiative. To see past In Dialogue Events, go here. 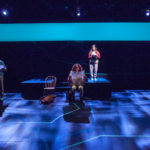 “The long arc of a body of work is vital to a thriving American theater, and I’m both honored by and enthusiastic about Profile’s unique focus. Here’s to a season of reflection and looking forward!” – Quiara Alegría Hudes. The work of Quiara Alegría Hudes immerses us in the complexities and contradictions of community, legacy and family. 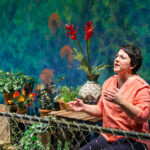 Steeped in music – from classical to jazz to Latin to hip-hop – the plays of Ms. Hudes introduce us to characters ripe with humor whose tragic flaws, bone-deep loyalties and grit determination hook us and draw us into their stories. 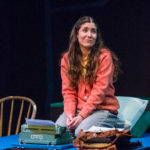 Her language – a high-wire act between poetry and contemporary conversation – illuminates the souls of her characters; soldiers, addicts, divorcees, music teachers, estranged parents, ghosts, stuntwomen – a band of misfits who, through her artistry, find a kind of healing in plays full of laughter, tears and a fierce passion for living. 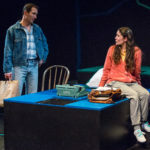 Profile is pleased to present four of Ms. Hudes’ award winning plays, including the entirety of the Elliot Trilogy: Elliot, A Soldier’s Fugue (Finalist for the 2007 Pulitzer Prize for Drama); Water By the Spoonful (Winner of the 2012 Pulitzer Prize for Drama) and The Happiest Song Plays Last. 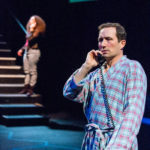 And in one of the most ambitious projects in Profile history, the final two titles will be performed in a rotating repertory for an immersive experience with these electrifying plays. 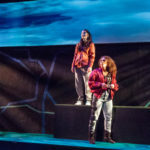 On Saturday November 18th, Quiara visited Portland and spent the day with Profile Theater! A desperate midnight phone call spurs a spontaneous road trip for a brilliant teen and her estranged mother. The reunited pair runs fast and furious from the secrets in their lives. So what if reality is nipping at their heels? Colliding together, they find connection, forgiveness and a part of their identities that has been missing all along. Plays in rotating repertory with the Happiest Song Plays Last. 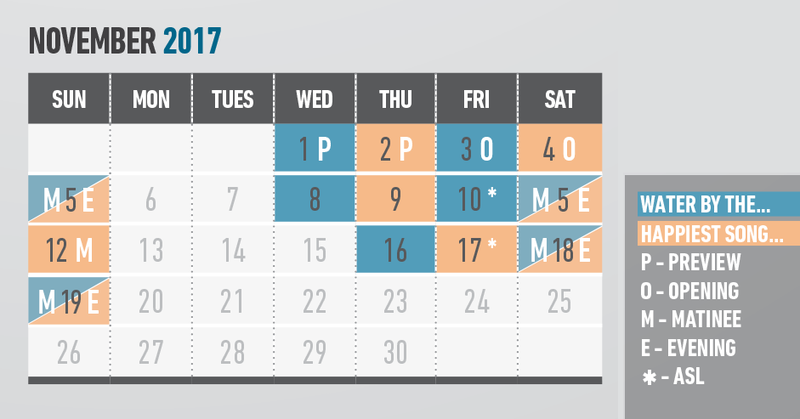 Plays in rotating repertory with Water by the Spoonful. 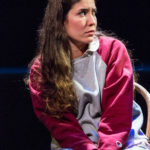 In Dialogue Staged Readings include new and contemporary plays in conversation with Quiara Alegría Hudes’ body of work, as well as readings of Hudes plays not in the Main Stage season. Staged Readings will be announced throughout the season.